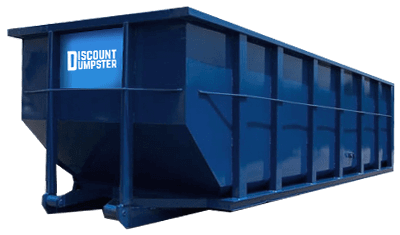 Discount Dumpster is in business to serve its customers with the best of our ability. First time renting a container? Seasoned vet with dumpster rentals? We are able to serve you. When you have a large project requiring mass quantities of junk removal a bin will help move the project along. With multiple sizes to choose from nearly every project will be able to utilize a trash removal dumpster. The quickest and simplest way to rent a bin is to call our office. You will be connected with a customer service representative who will guide you through the different sizes and weight limits for the roll offs we offer for rent. From that point you are able to setup a delivery and pickup date. We then take it from there and dispatch your order. Get back to your remodel or construction project and leave the trash hauling to us. Commonly used for residential projects the 12-yard container is commonly placed on driveways. Use this size for minor garage, attic, or home clean outs. The 20-yard roll off is a good medium size dumpster. Use this dumpster for minor remodel projects. If you have one room to demo a 20 yard will work well. 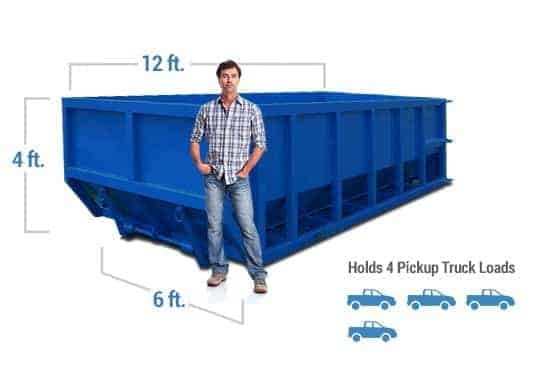 The 30-yard bin is great for full home remodels, construction projects, and moving. Get rid of all you junk in one place with this big boy. Renting a roll off dumpster is easy when you utilize services from a company that knows what they are talking about. Not sure what size to order? Do not worry because we have seen it all. When ordering be sure to get a dumpster large enough for your project, or even bigger if you need to. It is cheaper to order one dumpster than try to save a quick buck with a smaller dumpster, then having to order two. That is why we are here. We limit our margins so that each customer may save money. When you need assistance with trash collection near you we are able to help. Discount Dumpster helps single-family residences with urban trash collection. We make junk removal available to businesses and home owners year round. Nashville Metro trash and recycling customers choose to come back after they rent with us. Delivering roll off dumpsters Monday through Friday. Renters who have more trash than what fits in the dumpster may need to order an additional roll off. To help prevent this there are large gates at the rear of each bin. Walk in the waste material at the beginning so that you are able to utilize the most volume of your rental. We are a private service for disposal and treat everyone fair.